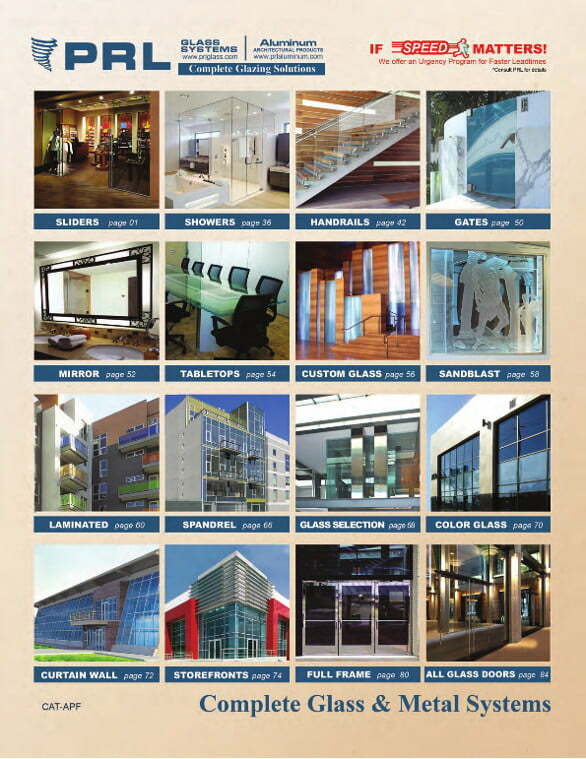 2015 Architectural Glass And Metal Catalog. Innovative products built to lead the way in the glazing industry. We offer complete manufactured glazing systems as well as loose components to accommodate your preferences. PRL fabricates laminated, tempered glass and we extrude our own aluminum in house. The majority of our products are shipped prefabricated to your exact sizes and specifications, ready for a fast installation, thereby saving you time and money! Our promise to you is to continue to provide the FASTEST lead-times and BEST QUALITY in the industry and we thank you for your continued support!